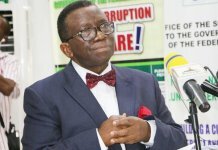 Delta State Health Contributory Commission has been adjudged best in Nigeria by the FG. How were you able to grow the scheme? At the 58th National Council on Health meeting in March 2015, one of the resolutions passed was for all states in Nigeria to establish a State Supported Health Insurance (SSHIS) program as a decentralisation strategy to enhance and encourage Universal Health Coverage (UHC) across the country. Senator Ifeanyi Okowa, who at the beginning of his medical career chose to move to a rural community to start his medical practice, while some of his colleagues preferred the cities, made establishing a state-supported Health Insurance Scheme for all residents of Delta State a cardinal program of his new administration. 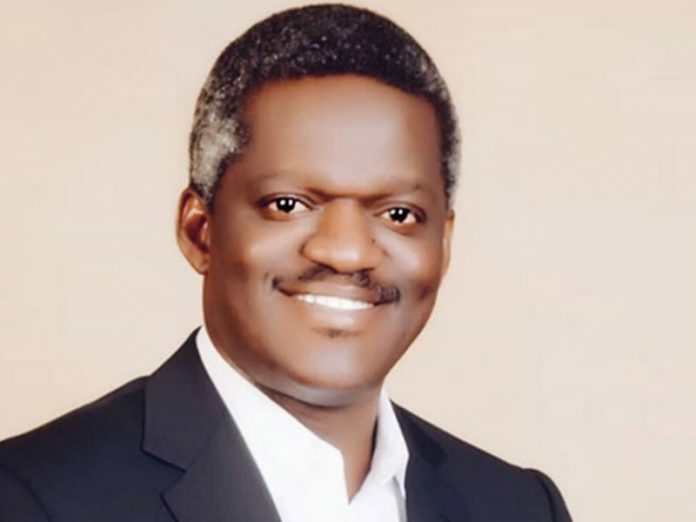 He had gone up through the state bureaucracy and political strata to become the Commissioner for Health, Secretary to the State Government and at the federal level became the Chairman Senate Committee on Health. All through, he displayed his passion for quality and affordable healthcare for all through enhancing the primary healthcare service capacity in Delta State and a steadfast contribution towards ensuring the National Health Act (NHA) and the National Health Insurance Scheme Law became formidable through the National Assembly. 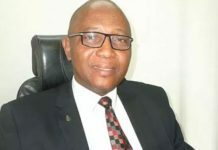 As Governor of Delta State, he ensured the bill to establish the Delta State Contributory Health Commission was ready and sent to the Delta State House of Assembly within a few months into his administration. The bill went through all parliamentary protocols and procedures before being passed and signed into Law with a strong governance structure and processes on the February 4, 2016. Implementation of the scheme commenced on January 1, 2017, after start-off mechanisms had been put in place despite the start-off financial challenges due to the sharp drop in the state revenue from the falling oil price and inherited debts. Within a year of its operation with prudent resource management, the scheme was able to win an award in 2017 for the Outstanding Healthcare Program of the Year at the Nigeria Healthcare Excellence Award ceremony and in 2018 it won an award as the state with the most people covered under its State Social Health Insurance Scheme with focus on the Poor and Vulnerable population in Nigeria under the World Bank/FG – Save One Million Lives Programme. This award was presented by Vice President Yemi Osinbajo. The growth of the scheme can be ascribed to a combination of factors that include the governor’s strong political will, strategic planning, prudent resource management and the support from Deltans. Was the success influenced by the large kick off grant you got, which is rumored to be around N350m? The scheme did not receive N350million as take-off grant. What it got in 2016 was N35million only for its entire year operations. Delta State, at that time, received one of its lowest revenue. With this situation in mind, we commenced a modest start-off process to enable value maximisation of the funds, not compromising on quality of service. First, instead of an elaborate recruitment process, civil service workers already on the state’s payroll were trained and deployed to the commission. 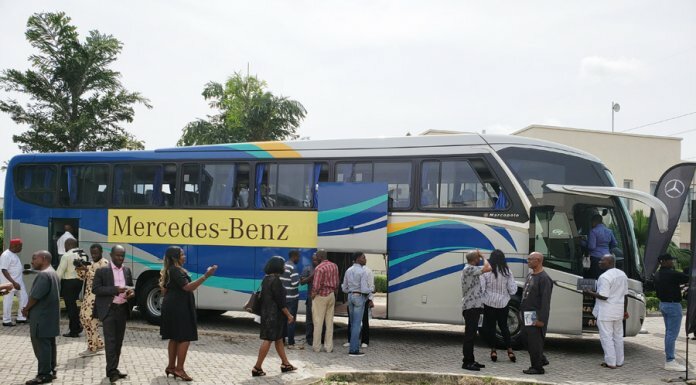 Instead of starting off with brand new vehicles, broken down vehicles within the government house were refurbished, and a section of the State Head of Service Office building was allocated as start-off office for the scheme. We also worked round the clock to ensure we met expected target deliverables. Is the scheme building on what the past administration put in place? The past administration of Dr Emmanuel Uduaghan, implemented the free maternal and under -five years healthcare program which improved the maternal and infant mortality healthcare indices in Delta State. However, there were challenges in its implementation- with the program available only in urban center, secondary healthcare facilities, and no comprehensive data for tracking, reporting, analysis and long term plan. The Delta State Contributory Health Scheme (DSCHS) thus commenced its service by transitioning the previous administration’s free maternal and under-five years healthcare program into the scheme to ensure continuity and long term sustainability. It expanded the program to 107 PHCs in rural communities where the people that actually need the free healthcare service reside. It then established a database system that enables all pregnant women and children under-five to be automatically enrolled into the scheme for service free of charge. Their services were paid for by the government. With this strategy, they are able to receive all healthcare services available under the scheme and have access to healthcare service referrals for higher levels of care with an identity card and patient’s case file for proper documentation of healthcare services provided, ensuring continuity of care with proper medical records. How many healthcare facilities have been accredited to provide health services to enrollees? 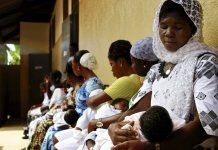 Since its inception, over 300,000 residents of Delta State that include pregnant women, children under-five years, public service workers and the informal sector have been enrolled into the scheme with access to 225 public and private healthcare facilities accredited for the scheme in Delta State. Renovation is ongoing at other healthcare facilities across the state to increase the number of facilities available with commensurate infrastructure upgrade to ensure quality of service. What type of services are the enrollees getting? The DSHCS is focused mainly on preventive and curative services derived from the Baseline Assessment Survey carried out at the beginning of the programme. The survey was done to determine key household demography, health seeking behaviour, coverage needs and willingness to pay, health facility availability and capacity, health facility readiness to deliver services and a poverty mapping that will identify areas and category of people that would have challenges with ability to pay premiums to ensure no one is left behind. Have you been able to share the commission’s successes to other states planning to commence health insurance? Yes. Due to the success so far achieved and robust nature of the scheme, several states across political party lines have sent emissaries to Delta State; some sponsored by UNICEF to understudy the governance and operating dynamics of the scheme with a view to adopting it for their own states. I have also over the past few years consulted and supported the settling up of health insurance programme in several states, and the Okowa has been a strong advocate for other states to adopt the health insurance program at the Governors Forum. The scheme seems to have a deep pocket for its running. Are there contingency amounts and other funds pumped into making it work? There has never been a contingency fund approval for the commission since the scheme began. We operate a prudent financial management system to ensure that the bulk of funds received are channeled to payment for healthcare services provided to enrollees. Expenditures for the scheme are approved and expended in line with due process expectations as stated in the law establishing the commission. Expenditure budgets are approved by the governor and the governing board of the commission with budget breakdowns. Also N90 million was never approved for advocacy for the scheme as erroneously reported by some social media platforms. Instead, N90million was approved for the commission’s entire 2017 operations budget with N18 million only approved for advocacy activities across the 25 LGAs in the state that included town hall meetings, publications, media campaigns, sensitisation meetings with all trade associations and heads of the various communities in Delta State to ensure inclusion for all segments of the society, amongst others. How many people are currently under the scheme? The scheme currently has over 300,000 residents of Delta State including pregnant women, children under-five years, public service workers and the informal sector. The number increases daily as there are several registration points that feed to the central database daily. We are in partnership with Inter-switch for its ICT deployment to provide an elaborate online real-time electronic payment systems, as well as an identity and health insurance management solution that will ensure payment of premium through several options that include Quick-teller, POS, ATM, Cash at bank, and Web-pay, as well as the quick and real time payment to healthcare providers for verified services to enrolees of the scheme. The scheme also has a self-registration app on Google Play Store (DSCHC) to enable residents register themselves remotely, choose an accredited healthcare facility, transmit data electronically and pay their premium online. When the commission receives the enrolee data and confirms payment, the enrolee’s identity card is printed and dispatched to his stated address via courier service. Before this administration winds down, how much more do you want the scheme to grow? The primary goal is to have a healthcare service financing system that ensures that any resident of Delta State, irrespective of socioeconomic status or geographical location, is able to visit a healthcare facility when in need of quality services. Thus we aim at registering a significant number of Delta State residents into the scheme, particularly in rural communities. Before you took over as the DG of the scheme, what were you into? Interestingly, the governor in his wisdom did not make political appointments into the commission, rather he opted for healthcare financing and medical experts with public and private healthcare service experience to regulate and implement the scheme. In 2013, while studying at the Harvard Business School in Boston, USA, I was the only African in the class. In one of the seminar sessions, each person was to make a presentation on the healthcare service status of his country. I was told to go to Rwanda to get materials for my presentation as I was not likely to get good materials for my seminar work on healthcare service advancements from Nigeria. Instead I travelled back to Nigeria and went to see Okowa who was then the Chairman Senate Committee on Health. He handed me the draft bill for the National Health Insurance and the National Health Act Bill to read in his living room. I read through it, got excited about the prospects. I went back to Boston to present the future of healthcare service in Nigeria under a Health Insurance Program and the National Health Act. I did not bother going to Rwanda. In 2015, when I was again at the Harvard Business School in Boston for another course, I presented the Delta State Contributory Health Scheme program and received technical advisory support from the Harvard Business Review Team. When Okowa commenced his campaign for governor, I travelled with him throughout the campaign providing emergency medical cover for his campaign convoy, which usually had over 40 vehicles. Along with other members of the Campaign Medical Committee, we started drafting the healthcare policies and priorities of the expected new administration. I was also a member of the Governor-elect Transition Committee on Health and Member/Secretary of the Governors Team that midwifed the contributory health insurance program. When the bill establishing the commission was signed into law, I was appointed the Director General/CEO of the DSCHSC. From obtaining MBBS and Msc in Public Health from the University of Benin and Nsukka respectively, I went for post graduate courses in Occupational Medicine at the University of Manchester in UK and Occupational Safety and Health Course for Senior Management at the British Safety Council in UK. I attended the Managing Healthcare Delivery Program at the Harvard Business School in Boston USA, the Business Innovation in Global Healthcare Delivery Program also at the Harvard Business School in Boston USA, a Health Economics course at the London School of Economics UK and obtained two Project Management certificates from the Oxford University UK. Before my appointment as the DG/CEO of DSCHC, I was the Managing Director a Healthcare Consultancy organization and the Chairman Board of Directors of an Oil and Gas Service company. I was the Pioneer Medical Director of Delta Specialist Hospital in Bonny Island and one of the Pioneer Medical Doctors at the Nigeria Liquified Natural Gas (NLNG) project Hospital in Bonny Island in Rivers State. I was also the Medical Officer for a number of International companies that built the Trains 1,2,3,4 and 5 NLNG plant in Bonny Island. Before setting up the Delta Specialist Hospital and my service at the NLNG Project Clinics in Bonny Island, I was a Field Medical Officer for Schlumberger Oil Service Company.